Microsoft released its diversity numbers yesterday, and they resemble those of other tech giants. Not pretty. I’ll have more to share on the tech industry’s diversity problem in a later post. In the meantime, pictures always speak louder than words. This entry was posted in General and tagged career, Diversity, Hispanics, Latinas, Latinos, tech industry, women, workforce on January 6, 2015 by coronino. 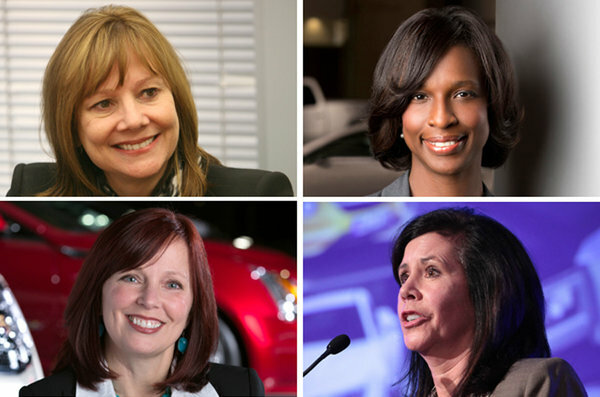 Nice job GM in selecting Mary Barra as your new CEO. This entry was posted in General and tagged CEO, Diversity, inclusion, leadership, women on December 11, 2013 by coronino.